MONTREAL — The Jean Coutu Group is in advanced negotiations for a potential acquisition by food and drug retailer Metro Inc.
Jean Coutu and Metro confirmed the discussions noontime on Wednesday after the Investment Industry Regulatory Organization of Canada (IIROC) said in the morning that trading of shares for both companies had been halted. Under a tentative deal valued at about $4.52 billion in Canadian dollars ($3.64 billion U.S.), Jean Coutu Group would be acquired by Metro for $24.50 per share (Canadian), payable via a combination of cash (75% of the consideration) and Metro shares (25% of the consideration). The retailers said the price stems from talks prior to a nonbinding letter of intent dated Aug. 22. The Coutu family has indicated its intention to support the proposed transaction, the companies reported. 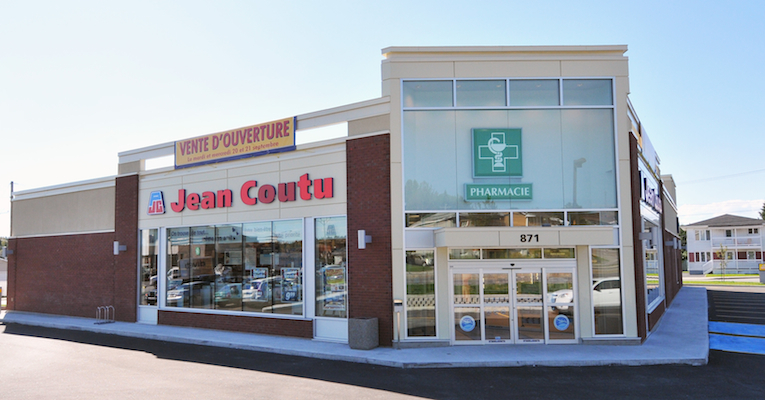 Based in Varennes, Quebec, Jean Coutu Group has a retail pharmacy network of 419 franchised stores under the banners PJC Jean Coutu, PJC Santé and PJC Santé Beauté in Quebec, New Brunswick and Ontario. Metro’s retail footprint in Quebec and Ontario includes over 600 supermarkets under the banners Metro, Metro Plus, Super C and Food Basics as well as more than 250 drug stores and pharmacies under the Brunet, Clini Plus, Pharmacy and Drug Basics banners. If Jean Coutu and Metro are able to strike a deal, it would continue a wave of consolidation in Canada’s chain drug industry over the last several years. In July 2013, Loblaw Cos. unveiled a $12.4 billion (Canadian) cash and stock deal to buy Shoppers Drug Mart. The agreement, closed in March 2014, combined Canada’s largest food retailer with the country’s biggest drug chain. As of the end of its second quarter, Loblaw had more than 500 in-store pharmacies and 1,330 Shoppers Drug Mart locations. However, in terms of locations, McKesson Canada has since surpassed Loblaw/Shoppers Drug Mart as Canada’s largest drug store operator. Earlier this month, McKesson finalized its acquisition of Uniprix, which added more than 330 pharmacies in Quebec under the banners Uniprix, Uniprix Clinique and Uniprix Santé. That marked the second large chain drug acquisition by McKesson Canada over the past year. In late December, McKesson Canada closed a $2.1 billion (U.S.) deal to buy Rexall Health, which added about 450 pharmacy locations. The addition of the Uniprix and Rexall drug stores raised McKesson Canada’s pharmacy count to about 2,500 locations overall.